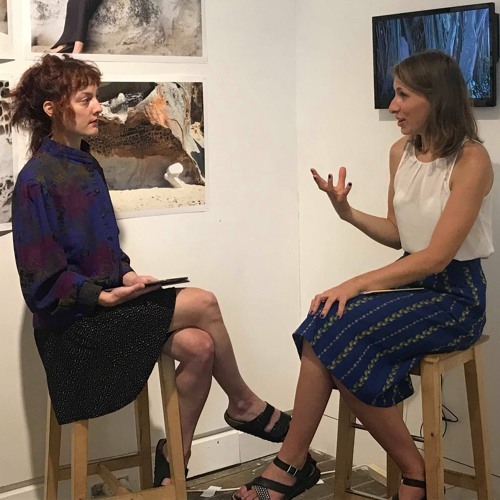 Curator Ira Ferris from Artemis Projects is in conversation with artist Emma Constantine whose exhibition Body of Land is showing at Sydney's Gaffa gallery from 6-17 December 2018. They talk about Emma's practice and the ideas that went into the making of the 'Body of Land', including the story behind the 'skin-suit', the choice of locations, the compositional decisions, the awareness of the potential audience, and the moment when the skin-suit was inhabited by additional bodies. As part of the Body of Land exhibition, Emma published a short and intimate memoir 'Reconnecting Skin, Stone and Sky' that delves deeper into the journey she took (both geographically and emotionally) to bring the Body of Land to life. During this art talk, Emma reads a couple of excerpts from the book. The talk took place at the Gaffa gallery on December 8th, 2018. We acknowledge that the talk took place on the land of the Gadigal people of the Eora Nation. We pay our respect to the traditional owners and ongoing custodians of the land.